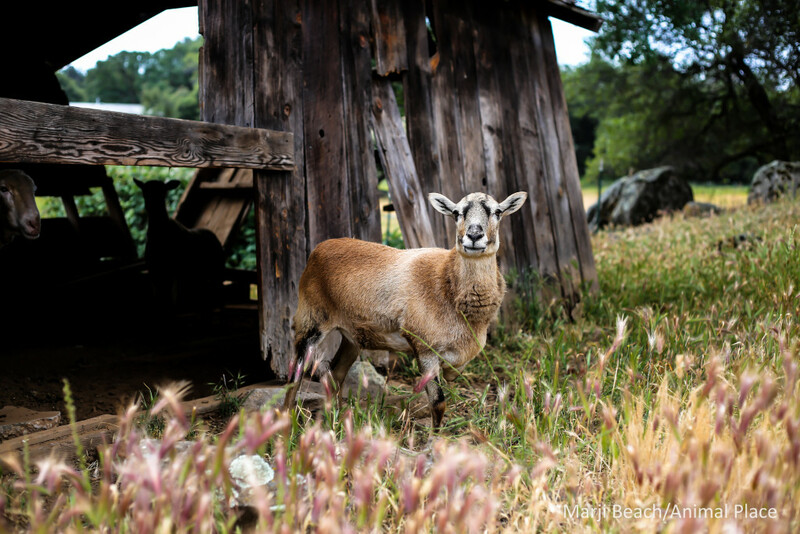 Carmen was rescued in 2011 from a farm that used sheep for weed abatement. When Carmen tripped in a gopher hole, breaking her leg in two places, the owners of the property refused to provide veterinary care. It would be a week before neighbors intervened and saved Carmen. Attempts were made to save her leg but infection rendered the leg useless and the damage was irreversible. The leg had to be amputated. Her stump is too small for a prosthesis to function so she ambles around on three legs. When she starts to hurt, she’ll approach a volunteer for massages. This is our sign to put her on pain medications and anti-inflammatories. 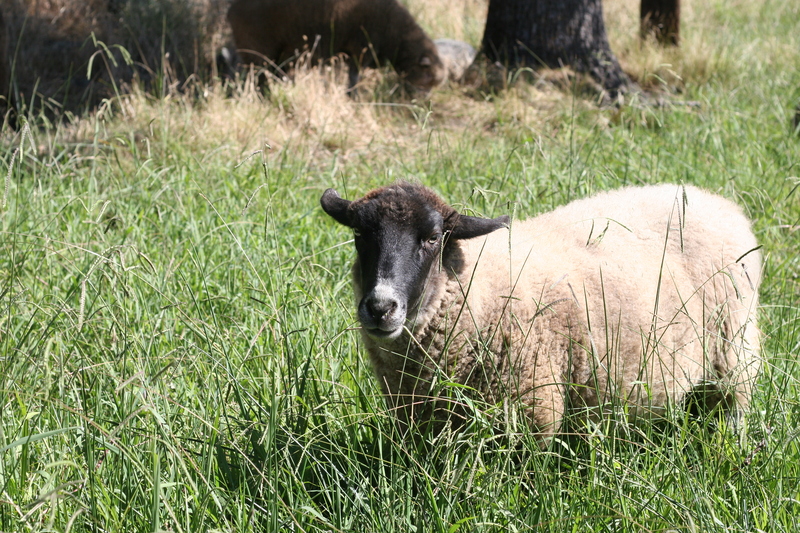 Carmen is a Barbados sheep, a breed that is more like wild sheep and the ancestors of domestic sheep – she has hair and a fine wool that naturally sheds in the spring and summer. 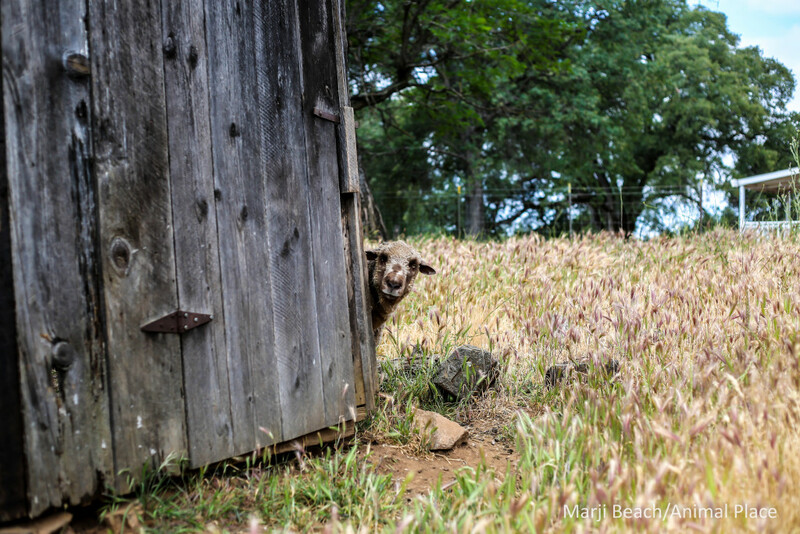 Humans have selectively bred sheep to produce continuously growing fiber instead of hair. Shy sums up Gwen nicely. Rescued in 2007 after she was abandoned by her mom, Gwen arrived a month after Aiden. They bonded as lambs but Gwen quickly developed her independence! She is a gentle sheep and flits through the flock, making friends with everyone.